Welcome to Star Service, the simple and cost-effective way to address the critical maintenance needs of your new vehicle. Mercedes-Benz Star Service Pre-Paid Maintenance allows you to “lock in” the costs of these required services before your first service visit or 10,000 miles, whichever comes first. — So you can avoid unwanted surprises. It’s extremely important for the long-term health of your Mercedes-Benz, and the safety of you and your passengers, that you have your Mercedes-Benz serviced according to its regular maintenance intervals. Check your maintenance manual or consult your authorized Mercedes-Benz Dealer for specific maintenance requirements and recommendations. For all Mercedes-Benz vehicles we recommend using an authorized Mercedes-Benz Dealer for your service needs. At a Mercedes-Benz Dealership you will get the most up-to-date expertise on the components that keep you safe on the road, like the braking and electrical systems, fluid levels, right down to the condition of your tires — which are your connections to the road. 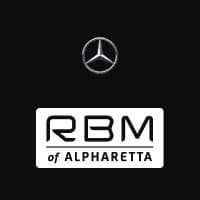 For details, exclusions and limitations on Mercedes-Benz Star Service Pre-Paid Maintenance, contact RBM of Alpharetta. *Savings may vary by dealer and model. Additional maintenance may be required according to your driving habits, mileage and local environment.